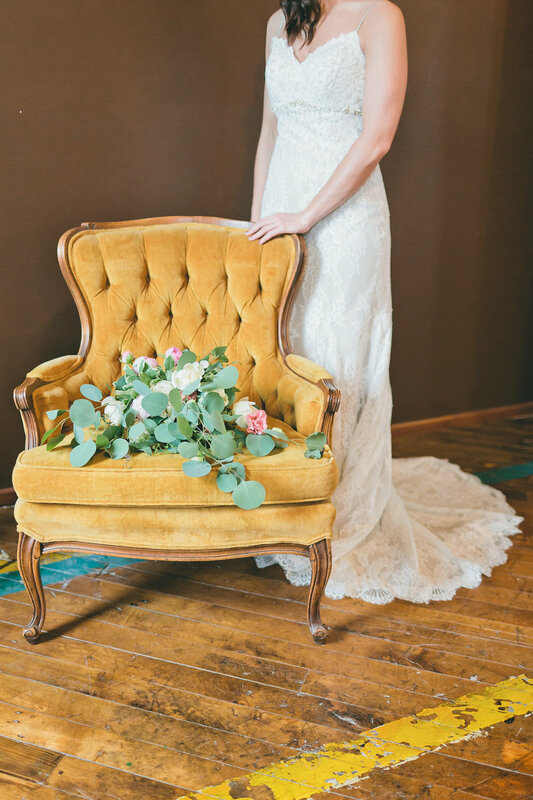 We hope that the advice and information we offer you is helpful, and that you are able to cherish the themes and values within our posts for inspiration on planning your wedding! We love so many things about weddings but one thing that we really look forward to with each wedding is watching the bride glow on her wedding day. 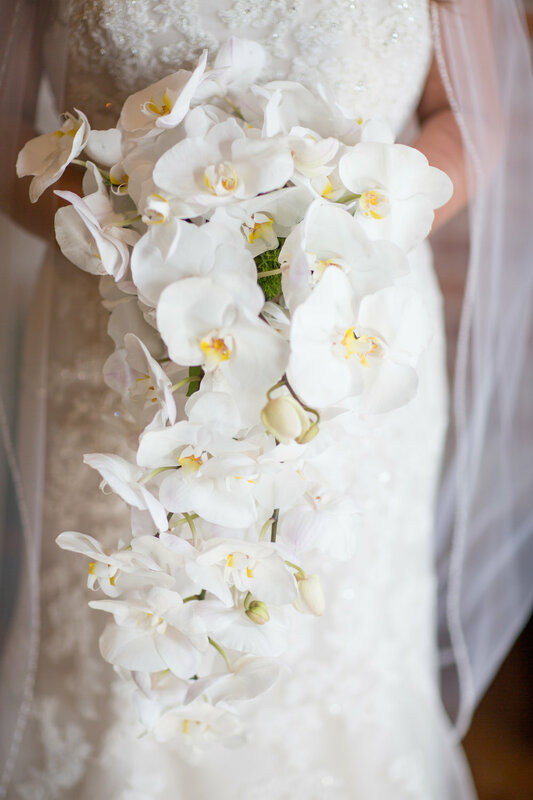 Aside from the perfect dress and dazzling shoes, we love seeing the bride's bouquet! 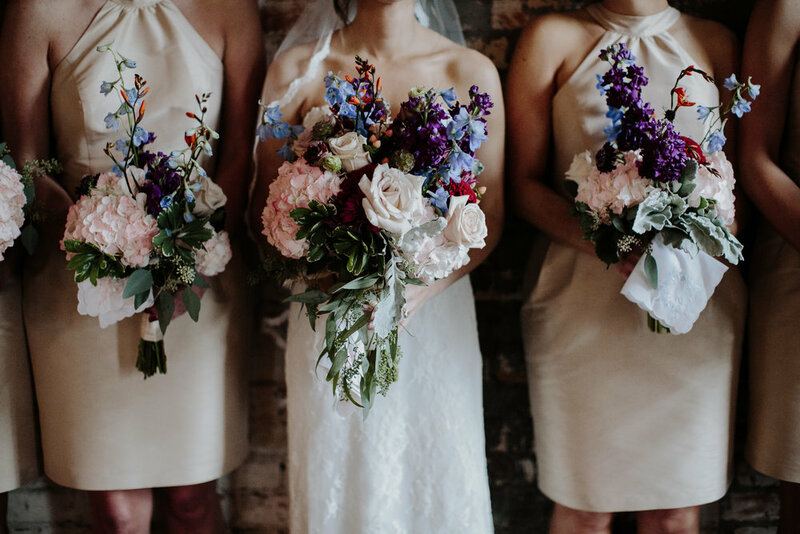 We decided to put together a post of a variety of gorgeous bridal bouquets from various florists for some inspiration. We see so many amazing flowers up here that it’s hard to just choose a few! Enjoy! 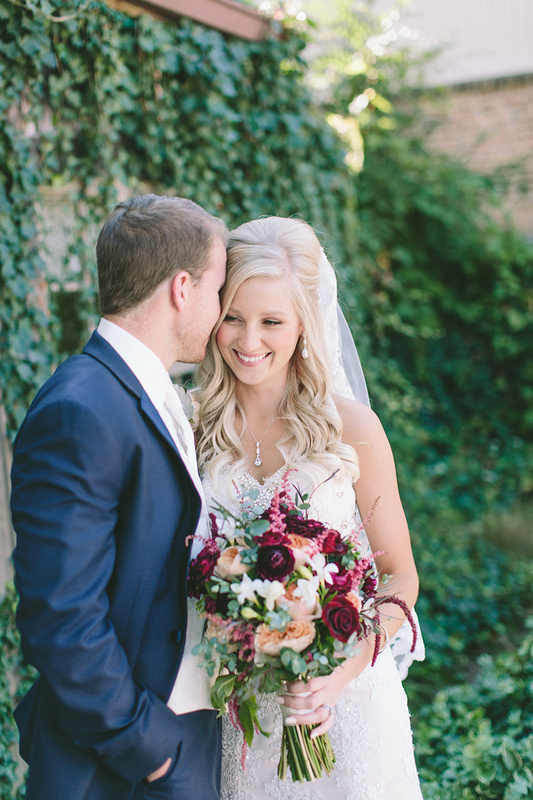 Ashley and Ty were married this past February and it was a gorgeous wedding! Ashley was so creative and made so many different decor items for the wedding and it turned out absolutely beautiful. 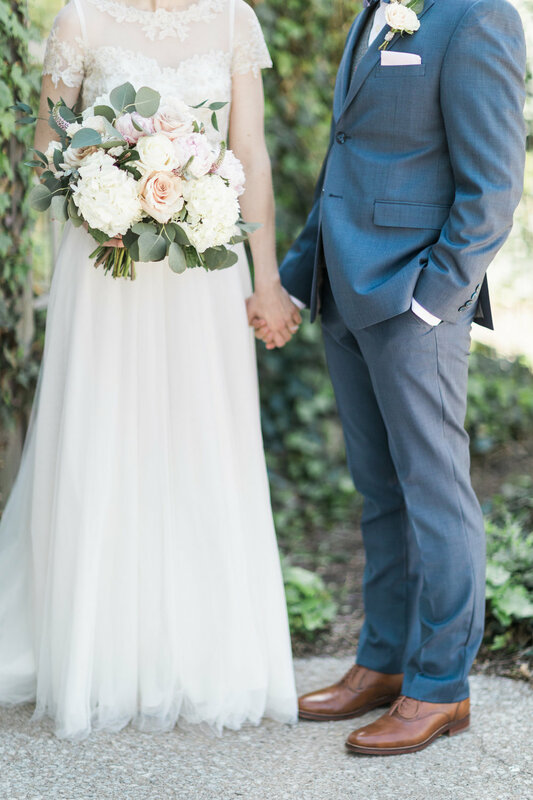 We loved the lush greenery with pops of blush! It was a perfect palate for a winter wedding. The wedding and reception both took place in the Gallery, with their guests sitting at their tables. We get a lot of questions on what this looks like so here’s your answer! 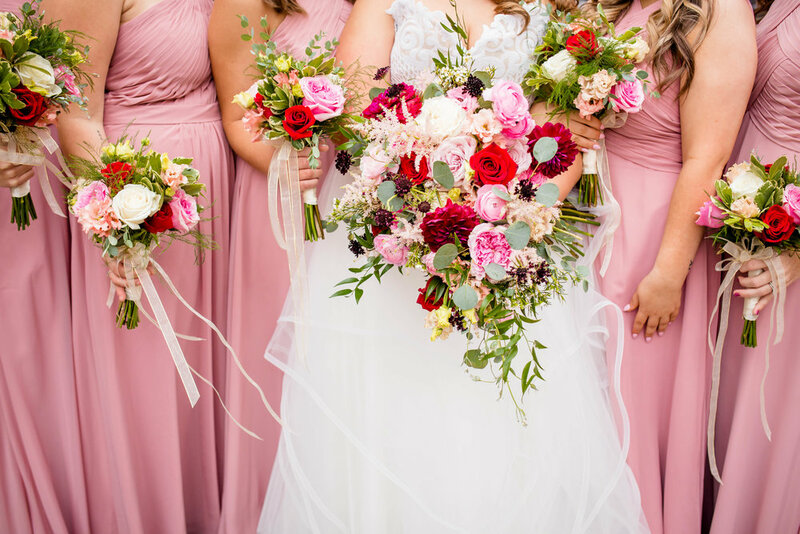 Thank you to Renee Mellott for capturing their beautiful day and to LB Floristry for doing an amazing job with the flowers! We feel so fortunate to be in such a unique and stunning building and we are often asked what the history of this place is, so we thought we’d share that with you! The iconic iron bridge was constructed in 1894, allowing the trolley to cross the Elkhart River. In the background you can see the Old Bag Factory, operating as the Cosmo Buttermilk Soap Co. at the time. Photo via the Goshen News. Built in 1896, the building originally housed the Cosmo Buttermilk Soap Co., manufacturing fine laundry and bath soap as well as toilet paper. Strategically located next to the railroad, the 80,000 square foot building was perfect for getting soap shipments out and across the country. 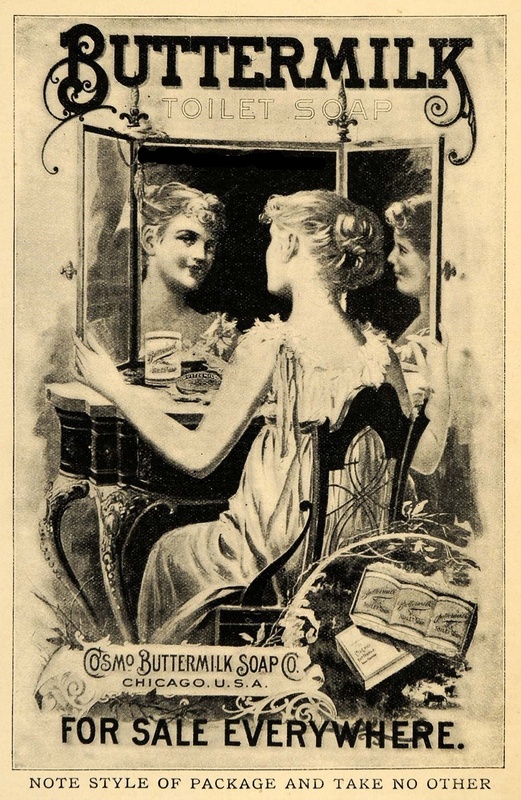 If you look at the outside of the bar door in the Ballroom Suite, which was originally the third floor safe, you can still see the beautiful Cosmo Buttermilk Soap Co. logo. 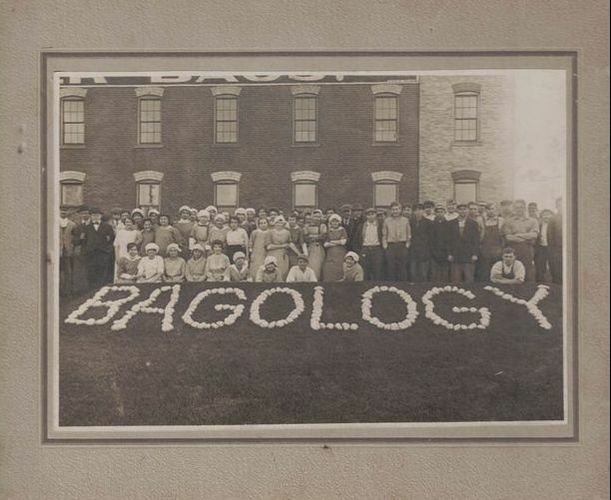 In 1910, the building was purchased by the Chicago-Detroit Bag Company, and later the Chase Bag Company after a merger. 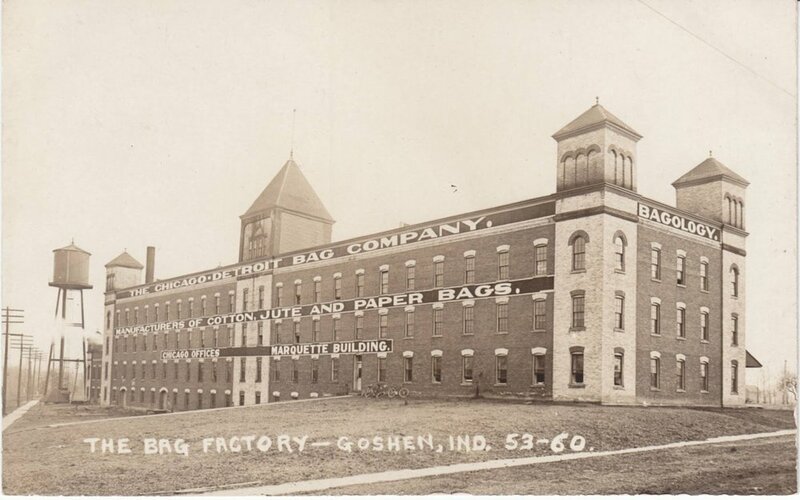 The building was renovated and began making specialty bags and items, including the sheer white paper used in Hershey Kiss wrappers. The Chase Bag Company continued to occupy the building until 1982 when it officially closed its doors. The building sat unoccupied until 1984 when it was privately purchased and restored into a custom wood furniture shop. Eventually, other artists came to the Old Bag Factory and it became a haven for local artists to showcase and sell their work. The building changed ownership again in 2010 and continued to grow, adding restaurants, a concert venue (the Gallery) and more shops. Bread & Chocolate occupied the third floor when renovations were complete, also in 2010. The third floor renovations included adding in the full service kitchen, bathrooms and offices, as well as restoring the Ballroom Suite. We love that the renovations were able to maintain the integrity of the historical building with the original hardwood floors, exposed beams and beautiful brick! We hope that you enjoy the history and beauty of the building as much as we do! 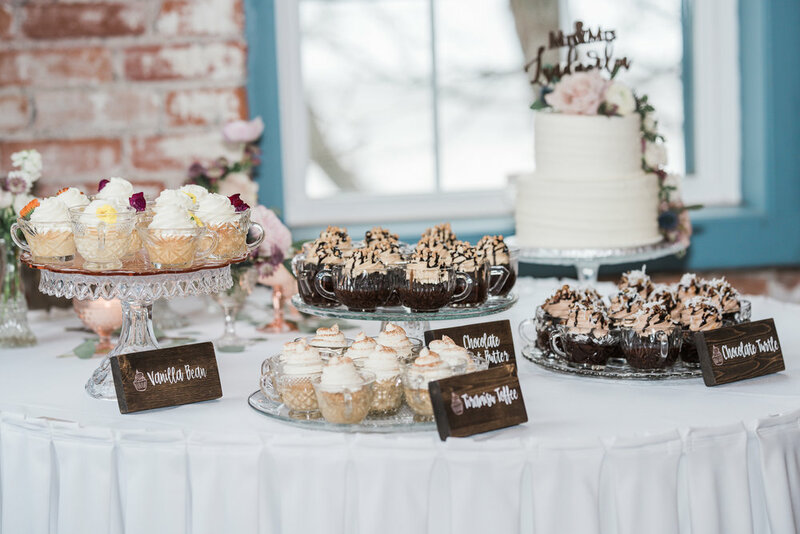 Bread & Chocolate is a wedding, elopement and event venue and caterer located in Northern Indiana. 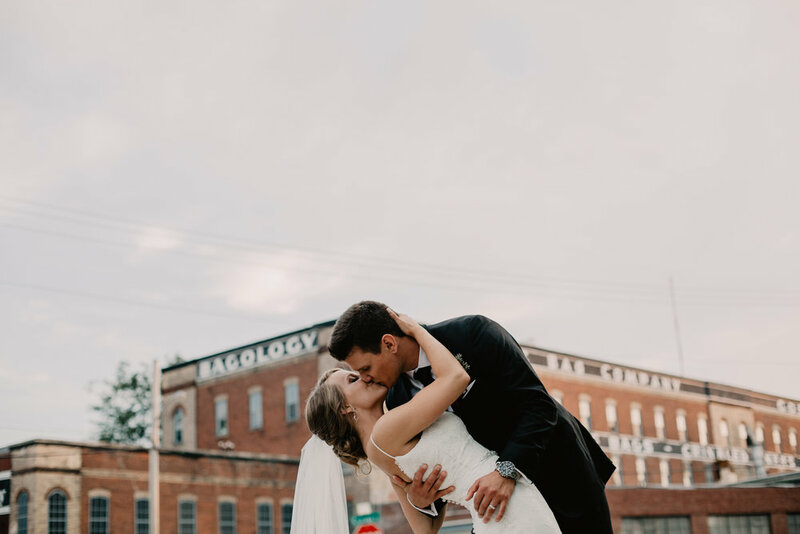 Our two event venues and catering kitchen occupy the entire top floor of the historic Old Bag Factory in Goshen.